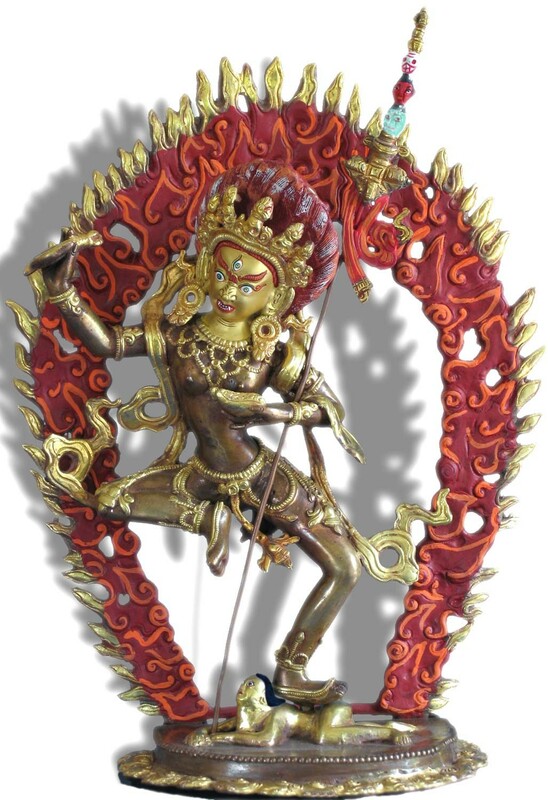 Für Details zum Produkt "Sarvabuddha Dakini 32 cm" scrollen Sie bitte nach unten. 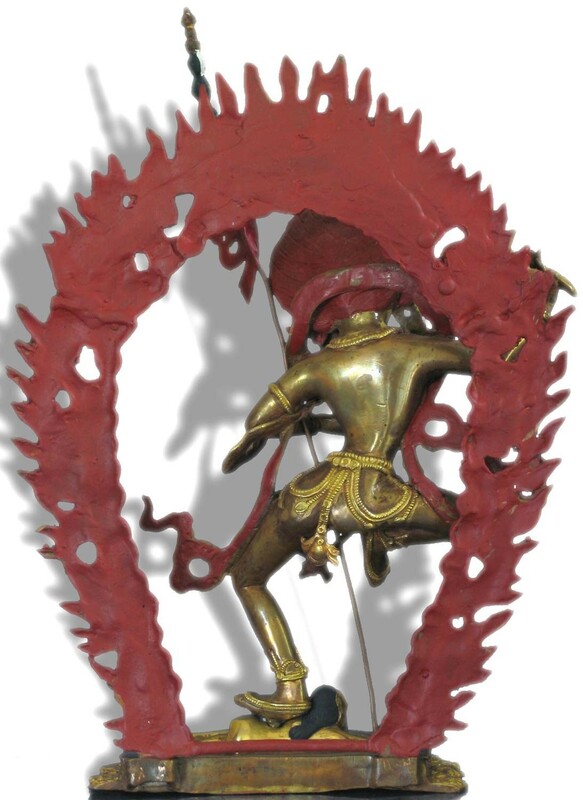 Vajrayogini ranks first and most important among the dakinis. 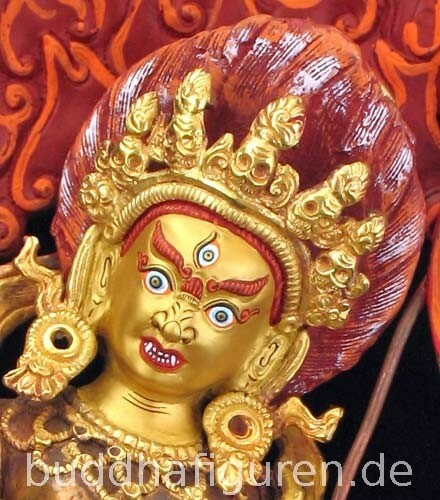 She is the "Sarva-buddha-dakini" the Dakini who is the essence of all Buddhas. 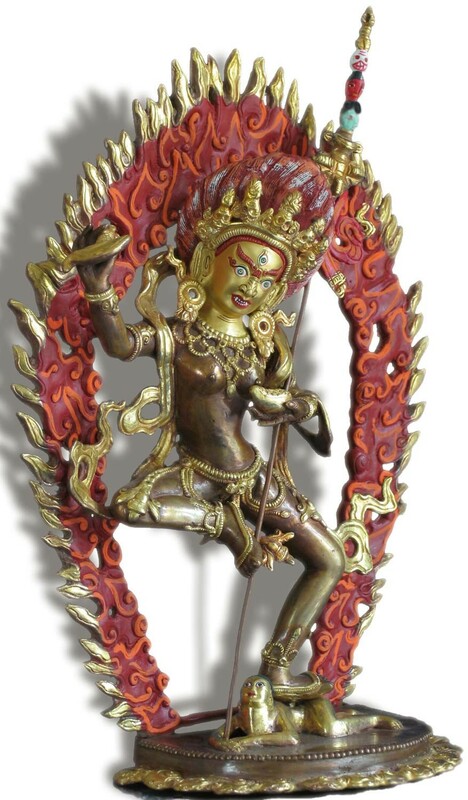 Although there are a number of visual representations of Vajrayogini, certain attributes are common to all: She is mostly shown as young, naked, and standing in a desirous or dancing posture. She holds a blood-filled skull cup in one hand and a curved knife (kartr or dri-gug) in the other. Often she wears a garland of human skulls or severed heads; has a khatvanga staff leaning against her shoulder; her usually wild hair flowing down her neck and back; her face in a semi-wrathful expression. 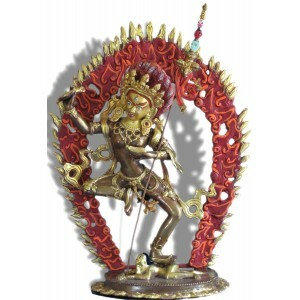 Her radiant red body is ablaze with the heat of yogic fire and surrounded by the flames of wisdom.